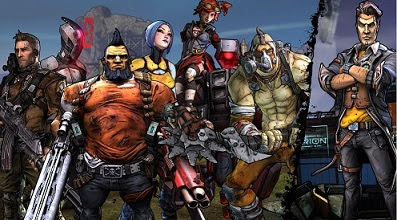 Randy Pitchford, CEO of Gearbox, hinted towards the future of their beloved Borderlands series during a PAX East panel earlier today. Though, for reasons clear to anyone that's played through to the end of Borderlands 2, it may have a completely different name. Personally, I would think something along the lines of Borderworlds might be much more appropriate. In addition, the Battleborn art director will be carried over to the next Borderlands game, and it will be written by Mikey Neumann. Nuemann has already written the Brothers in Arms games, and is the iconic voice of Borderlands' own Claptrap. In the end Pitchford told players to "look deeply" at the upcoming Battleborn DLC for references to the series. I'm quite grateful that they've been taking their time, and a break from the series. It's been quite some time since we heard about a sequel last back in February of 2014, the franchise wasn't being worked on. It was merely a couple ideas, and now it seems they are actually going to begin with the preliminary stages. This could be a massive undertaking that could rightfully pay off greatly if handled as well as Borderlands 2 was, especially with the sheer amount of DLC output.